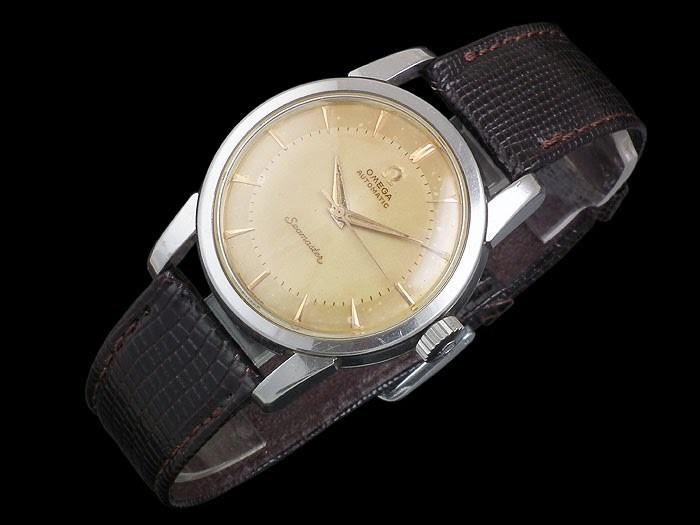 Today in Vintage section, we are introducing an Omega Seamaster automatic watch, dating from 1954 and in very good all-original condition. The watch featured here has a lovely original copper dial, solid steel case with original signed crown, Omega 17 jewel automatic movement [Cal 354] and comes complete with a new quality leather strap. 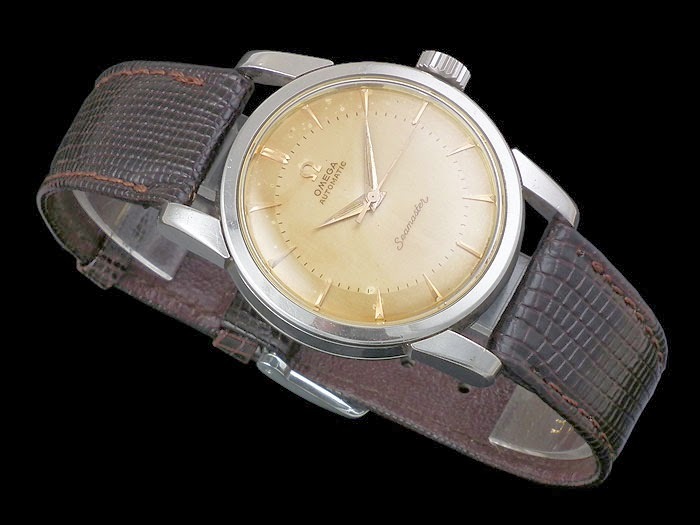 The solid steel case of Omega Seamaster Automatic Watch, Model Ref: ‘2767-10 SC’ measures 34.5mm wide, excluding the original signed crown x 10.5mm thick x 42mm long including the lugs, with an 18mm lug width. 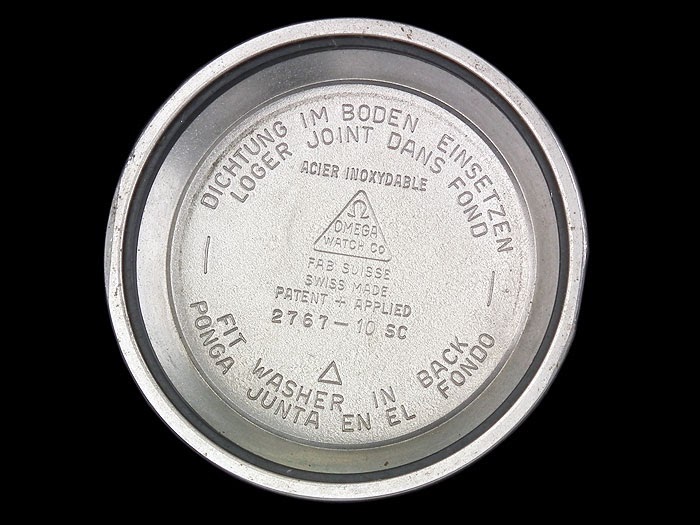 It has a press-in case back in stainless steel and inside of caseback is signed ‘Omega Watch Co’, ‘Fab Suisse Swiss Made’, ‘Patent + Applied’, ‘Fit Washer in Back’ (in four languages), ‘Acier Inoxydable’ and the ‘2767-10 SC’ model reference. The outside back of the case carries the engraving ‘Seamaster’ and ‘Waterproof’ around the outside edges at 12 and 6 respectively. The copper dial features applied hour batons and Omega insignia. It is signed ‘Omega’, ‘Automatic’, ‘Seamaster’ and ‘Swiss made’. The automatic movement, Calibre 354 is signed ‘Omega Watch Co’, ‘Swiss’, ‘Seventeen 17 Jewels’, ‘354’ and the ‘14927886’ movement reference number. The Seamaster Automatic Watches under reference number Ref. 2767 were introduced in market in the 1950s. Today, you can find many variations of this timepiece in vintage market. Omega initially made Ref. 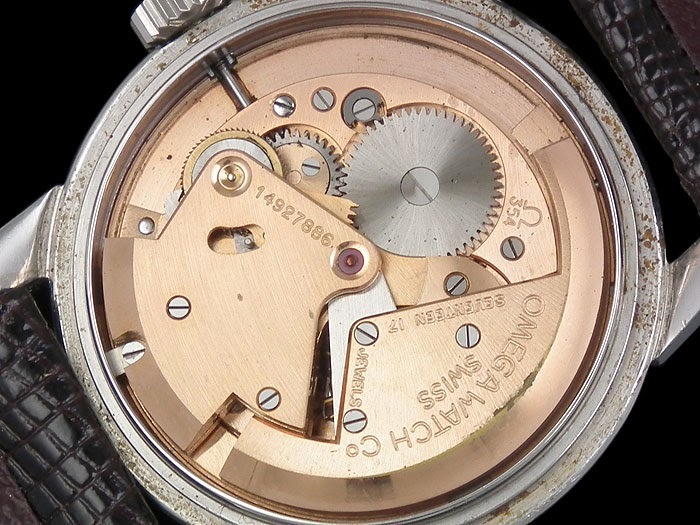 2767 models using Calibre 351 (17 jewels movement created in 1949) or Calibre 354 (17 Jewels movement created in 1954) and these models were also manufactured in COSC and non COSC versions. 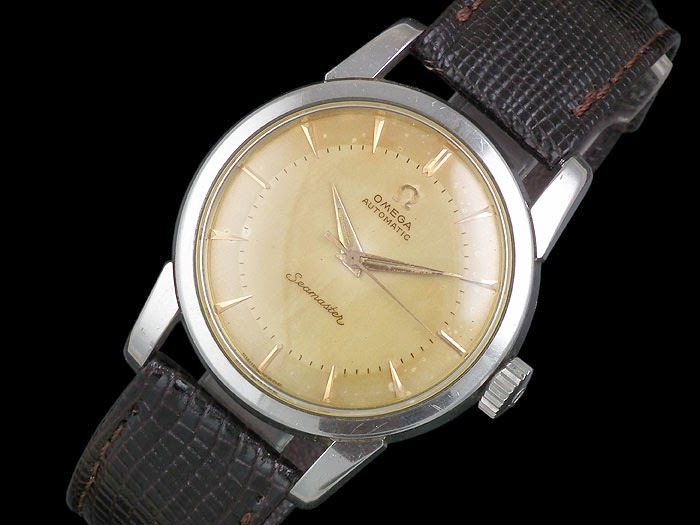 The Omega Seamaster Automatic Watch, Ref: ‘2767-10 SC’ model featured has some minute changes from the original models.The movement of this Omega Seamaster Automatic Watch, has been oiled. 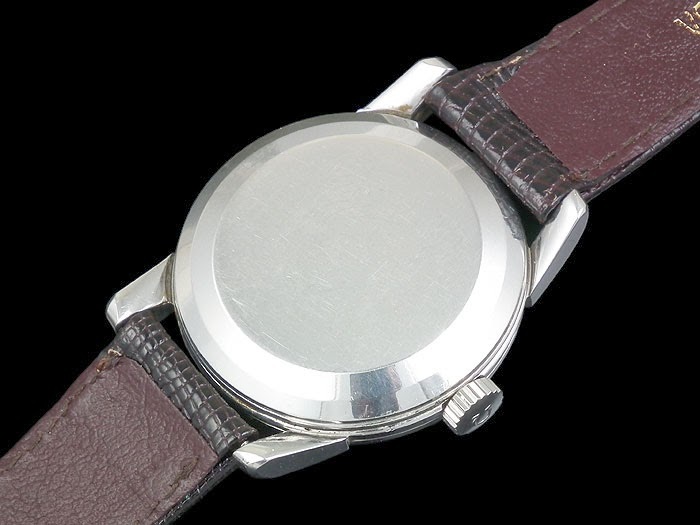 This timepiece is fitted with a new quality leather strap. The watch comes complete with a new non-Omega quality watch box for safekeeping.